Who is responsible for repairs to my property and how are they handled? 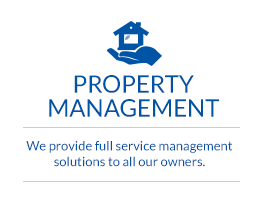 The management agreement requires owners to be responsible for all costs and expenses associated with the maintenance and operation of the property. RuBec has on-staff maintenance technicians who can address most any repair. We also contract with vendors who are licensed and insured to handle more technical issues. When a tenant notifies our office of a repair need, we will assess the problem and send the appropriate person to handle the issue. You are always notified when a repair request is made by the tenant. Repair needs are addressed 24 hours a day, 7 days a week. How am I made aware of the ongoing management of my property? RuBec has established contact points at which time and owner must be updated. Some of the contact points include bi weekly marketing updates, upon receipt of an application, if a tenant must be evicted among others. It very important to us that you are aware and are not caught by surprise on any issues related to your property. 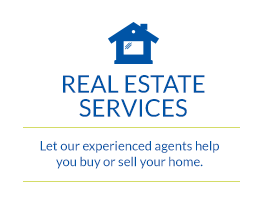 There are many variables included in renting a property. The rental market/competition, the appeal of the property inside and out, the rental rate and location. RuBec takes all of these into consideration when marketing the property and establishes an appropriate plan. It is our quest to find a quality tenant, as quickly, as possible. Your involvement may be needed to ensure the best outcome and we will certainly update you as we market the property. How do you know the manner in which the property is being maintained? Our lease up procedure explains to the tenant the importance of maintaining the property. Also, we conduct inspections of the property at minimum twice in a leasing year. During these inspections, if we find items that do not comply with the lease requirements or Housing code, we will instruct the tenant to handle it immediately. We will follow up to ensure it is completed. This is a very important part of managing the property that we take seriously. The tenant lease requires rent to be paid on the 1st of the month. A 5 day grace period is allowed. If the rent is not paid, we will attempt to reach the tenant to find out the reason for non-payment. However, evictions are filed the first weekday after the 10th of the month. We maintain a tight non-payment policy. We understand the affect non-payment may have. However, we do suggest funds are available in the event a tenant is late or does not pay. We keep you apprised during the eviction/non-payment period. Owner disbursements are issued on the first weekday after the 10th and 20th of the month, excluding holidays. We issue payments directly to your bank account. How does a prospective tenant gain access to my property to see if they like it? Prospective tenants are able to schedule to see a property on line. Our system reminds the prospect of the amount .Once an appointment is scheduled, our personnel will meet the prospect at the property. We do not allow unaccompanied property visits. This allows us to see the property and ensure it is in good condition. 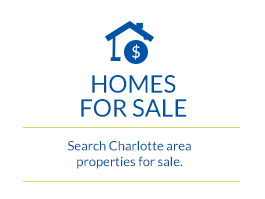 We manage single family homes, condos and townhouses, as well as, small to medium apartment communities. Common problems/perceptions when owning rental property? Within holding repairs if rent has not been paid – the lease is a legally binding contract and requires that repairs are made, as well as the NC. Landlord Tenant Act. While this is a frustrating situation, it should not be compounded by not making a repair. Slow response to maintenance/repair request from tenants – It is critical that the owner respond immediately to a request, even if it is tenant caused. Additional liability should be avoided by quick response. The laws mandate a safe and habitable property. Assessing who is responsible should be done after the repair is completed. Believing that the property will maintained, as if the owner lived in it – Remember the tenant is not as vested in the property as the owner. Through screening and property visits, the management company should be able to oversee the condition in which the property is kept. However, they cannot prevent things from happening. 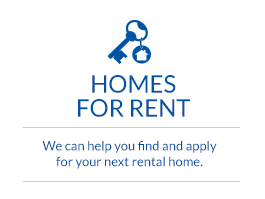 We will work hard to ensure the tenant complies with the lease requirements. Rent will be paid on time every month. – The lease does require rent is paid by the 1st. It does allow a grace period. The vast majority of tenant adhere to the lease requirements. However, occasionally things happen and a tenant cannot make the payment by the 5th. There are processes in place to handle these situations, however, as the property owner, you must be prepared to handle all obligations if the rent has not been paid.